Drivers know that they have experienced changes in their body and response time. Some of the more common changes that occur with aging include:. Cognitive impairment due to Alzheimer’s disease or other dementing diseases whose hallmarks are inability to remember, poor safety awareness and impulsiveness. Cardiac disease which may slow thinking time due to blood flow changes to the brain. Arthritis and joint disease making neck and extremity movement painful or limited. Neurologic disease such as strokes (weakness of arms and/or legs), dementia (getting lost or not recognizing land marks), neuropathy (losing sensation to the feet and not knowing how hard you are pressing on the gas or brake). Prolonged reaction time leading to poor urgent decision making, loss of ability to multi task (watching traffic, traffic signals, pedestrians, etc. ), not driving defensively and inability to move feet from gas to brake pedal quickly enough to prevent an accident. 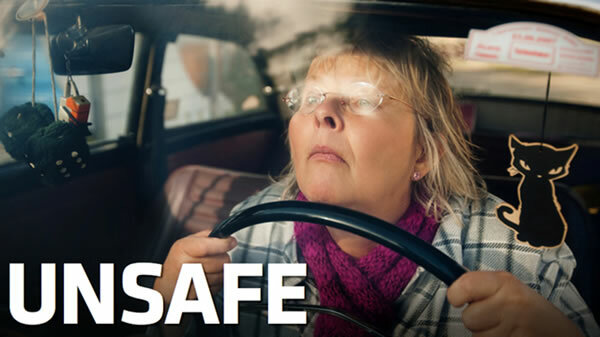 Changes seen in the aging eye can make the senior driver experience risks unique to their age group. Glaucoma due to increased pressure in the eye leads to halos around lights and difficult night time driving and blind spots. Cataracts lead to visual acuity changes and light halos that can often be resolved with removal of the cataract. However, removal of the cataract does not make the eye young again and chronic changes are still in existence. Inability of the eye to response to changes in light and dark exposure or prolonged night blindness due to oncoming headlights after passing another car at night. Changes in the ability of the eye to adjust to depth perception leading to miss judging approaching traffic or pedestrians. Strokes and macular degeneration leading to visual changes in one eye, but not the other which distorts visual fields and peripheral vision.